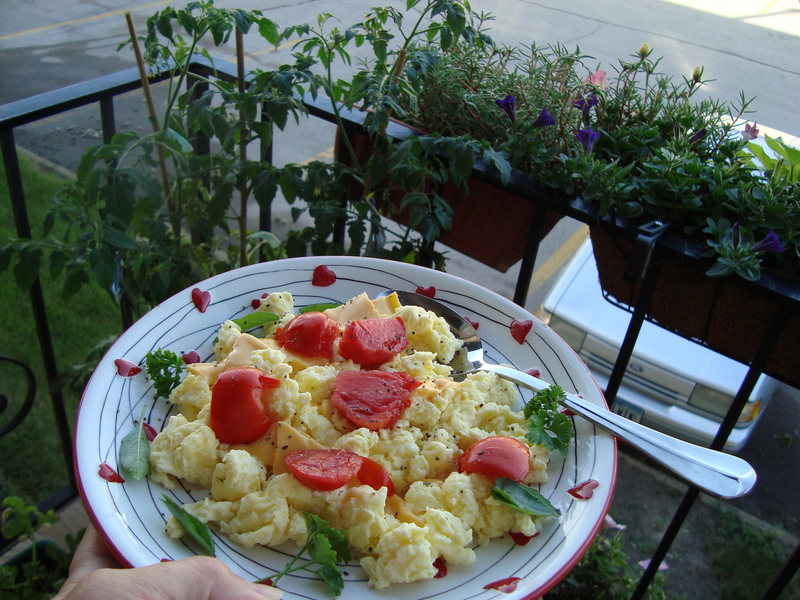 I enjoyed garnishing my scrambled eggs with tomatoes and basil from the balcony garden the other morning! The tomatoes are pretty small and far and few between, but they taste amazing! We also are enjoying our deck grown tomatoes (also few and far between) and sweet basil and parsley! Sweet basil is wonderful as a substitute for lettuce in egg salad sandwiches!